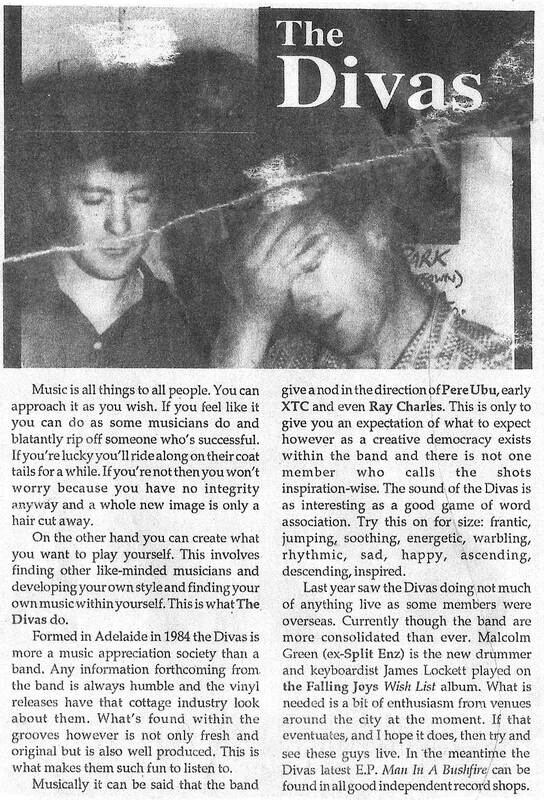 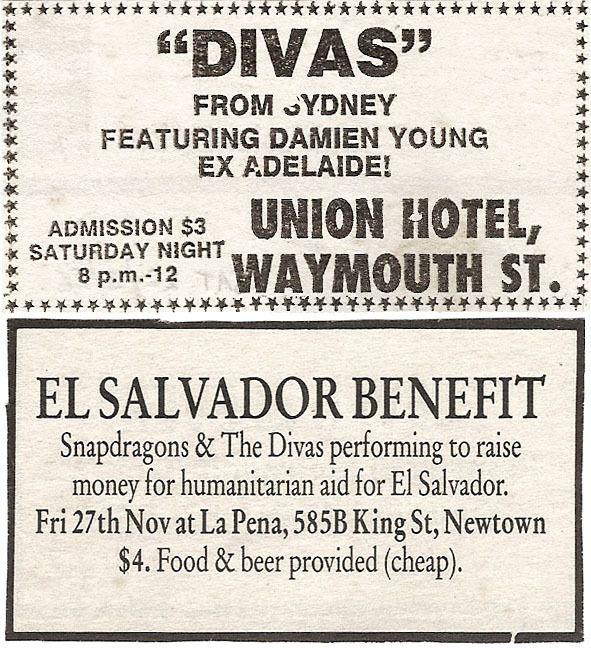 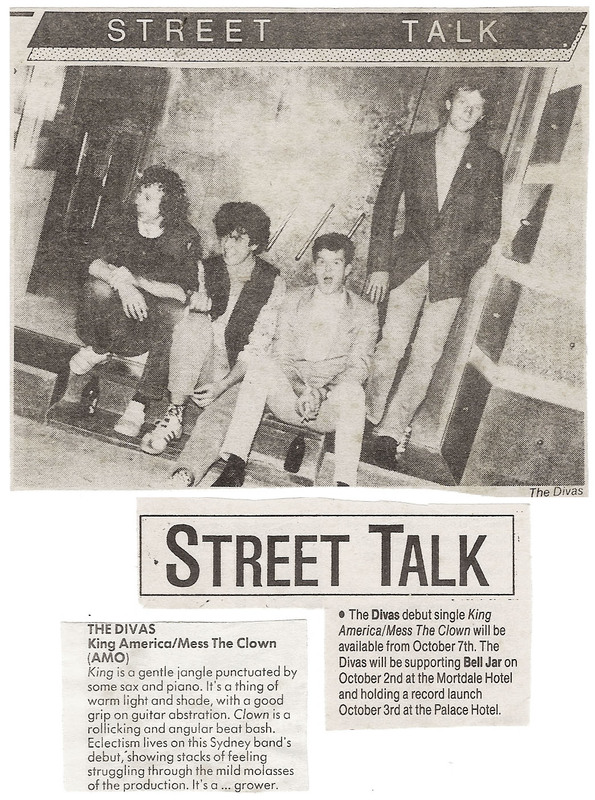 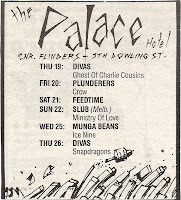 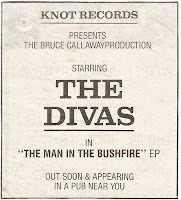 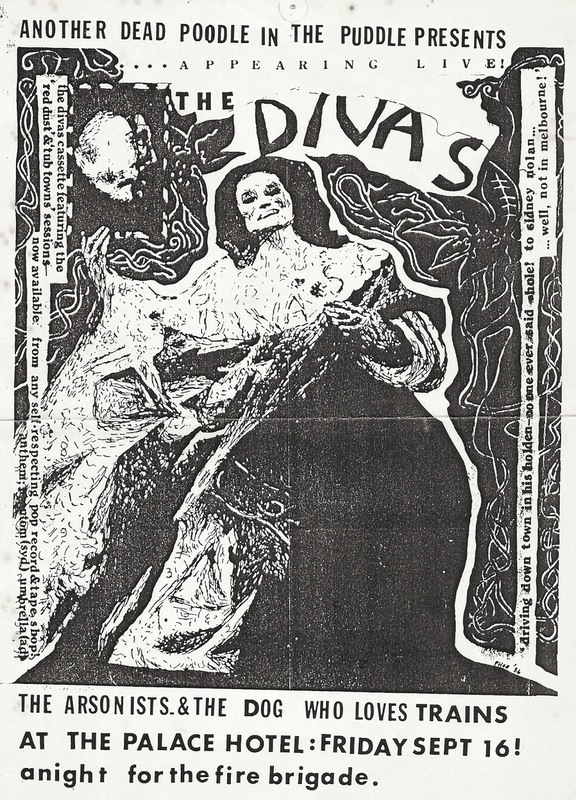 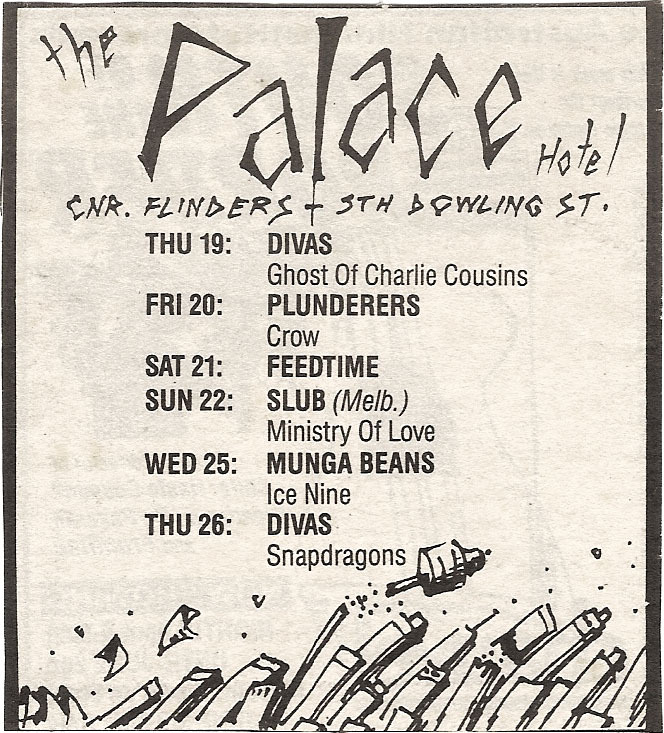 Thanks to Edward Kettle for these articles on The Divas and a press release for The Divas Bushfire EP from1990. 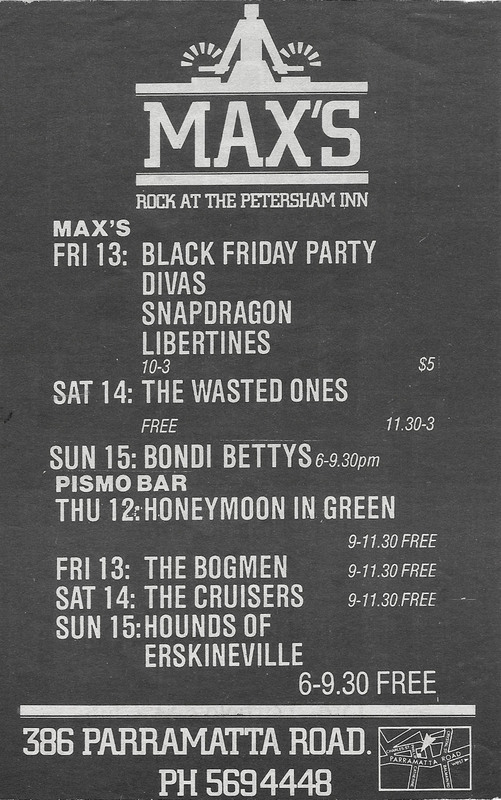 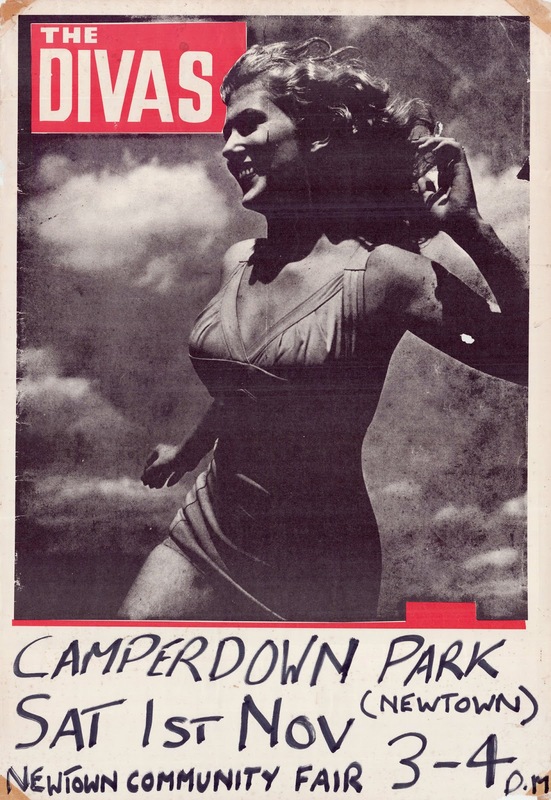 As well as an extensive selection of flyers, posters and advertising material from various street mags and publications from the late 80s and early 90s. 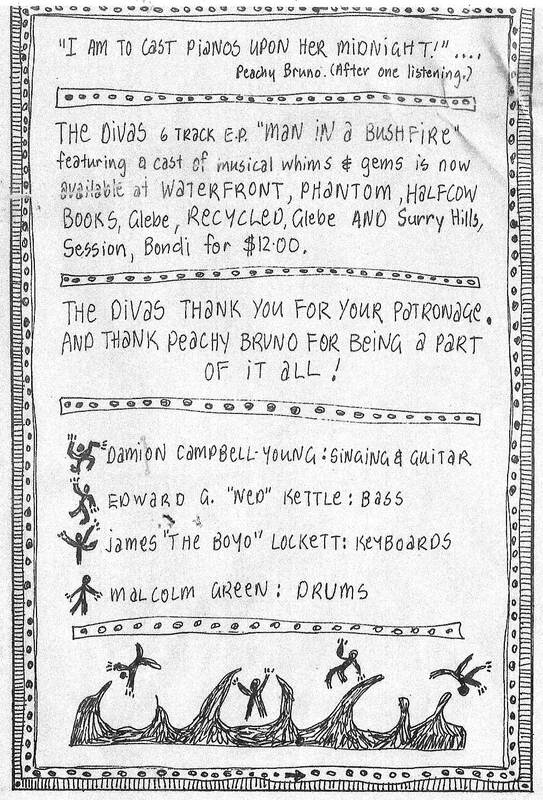 "The band was the vehicle of Damion Campbell-Young - songwriter and had quite a life. 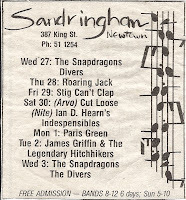 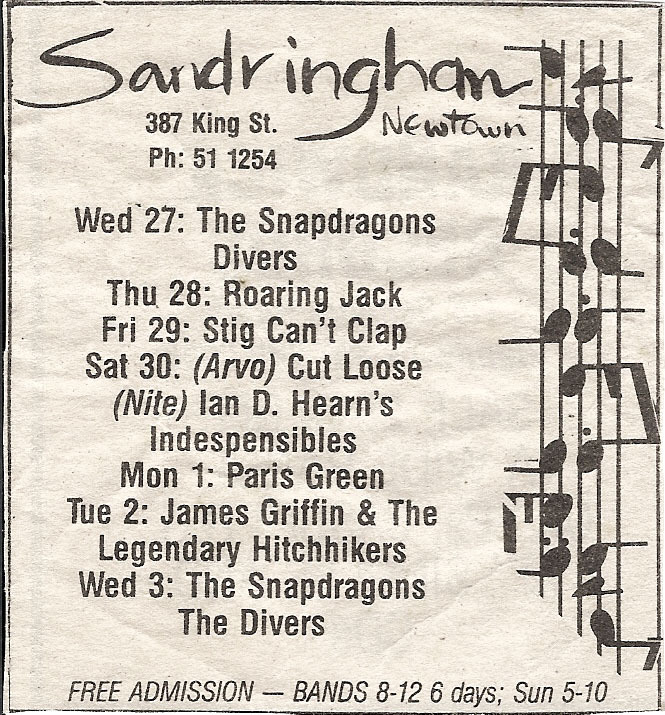 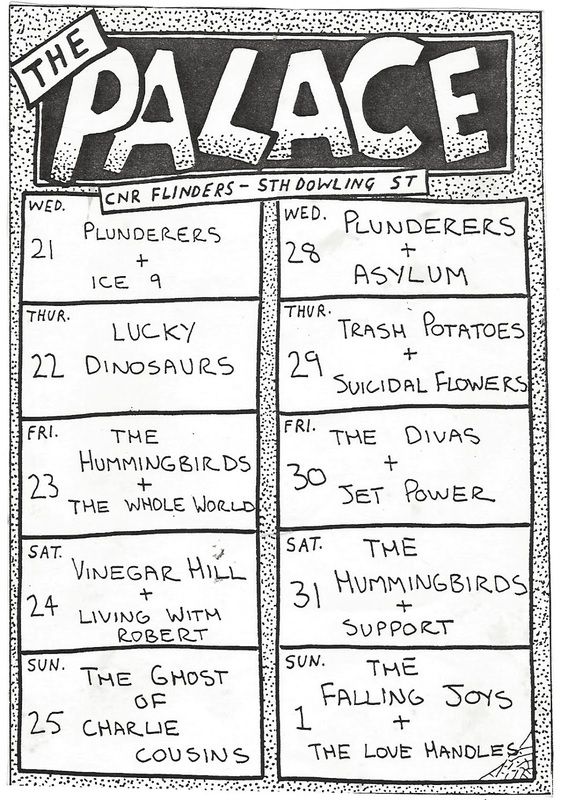 Formed in adelaide in 1984 , Relocating to Sydney in 86, Brisbane 94. 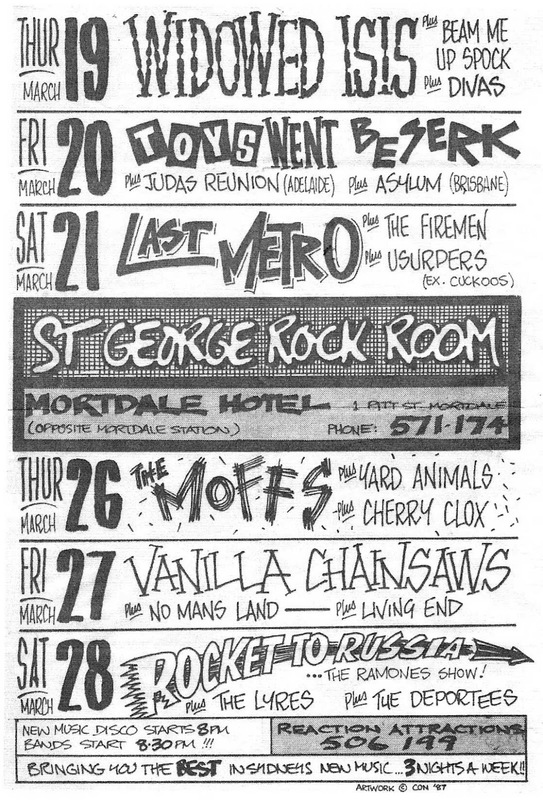 Last show - Sydney 2003, untimely death of Damion in 2005 . 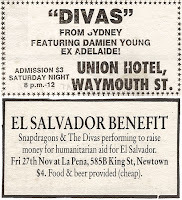 Along with my friend Paul Mcqueen ex Divas drummer and Presenter on Song Writers Across Australia (SWAA) we are arranging a Ten year Aniversary tribute extravaganza, akin to Dig it Up ! 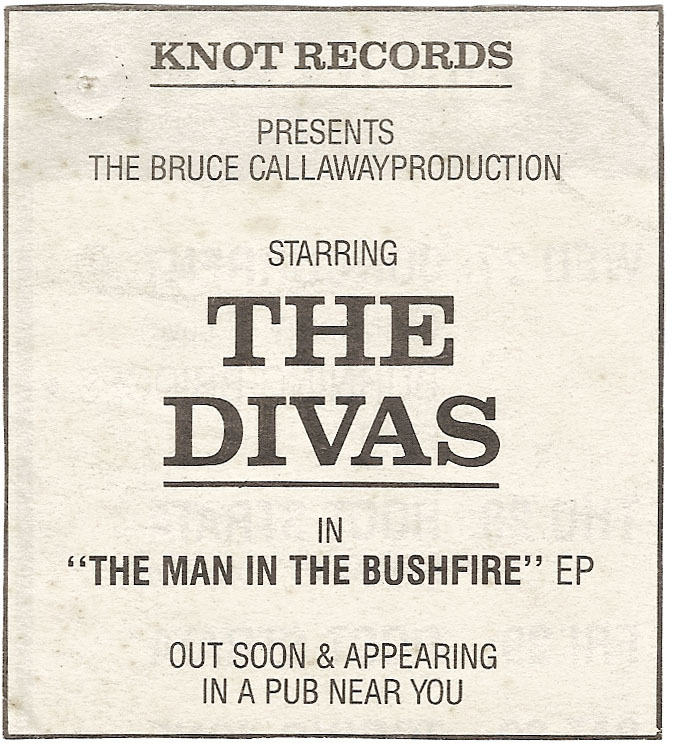 We plan to release a 18 track Anthology CD - supported by some live shows with past members and guest musicians."